Brian Boyd’s Evolutionary Account of Art: Fiction or Future? There has been a recent surge of evolutionary explanations of art. In this article I evaluate one currently influential example, Brian Boyd’s recent book On the Origin of Stories: Evolution, Cognition, and Fiction (2009). The book offers a stimulating collection of findings, ideas, and hypotheses borrowed from a wide range of research disciplines (philosophy of art and art criticism, anthropology, evolutionary and developmental psychology, neurobiology, ethology, etc. ), brought together under the umbrella of evolution. However, in so doing Boyd lumps together issues that need to be separated, most importantly, organic and cultural evolution. In addition, he fails to consider alternative explanations to art as adaptation such as exaptation and constraint. Moreover, the neurobiological literature suggests current evidence of biological adaptation for most of the arts is weak at best. Given these considerations, I conclude by proposing to regard the arts instead as culturally evolved practices building on pre-existing biological traits. Thanks to Brian Boyd for discussion of the book, and Wayne Christensen, Rachael Brown, Brett Calcott, and Eran Shifferman for commenting on an earlier version of this manuscript. 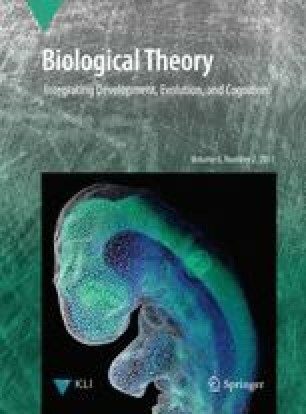 This paper was supported by the Research Foundation—Flanders (FWO) and the Konrad Lorenz Institute for Evolution and Cognition Research, Austria.